One particular mountain on Mars, bigger than Colorado's grandest, has been beckoning would-be explorers since it was first sighted from orbit in the 1970s. 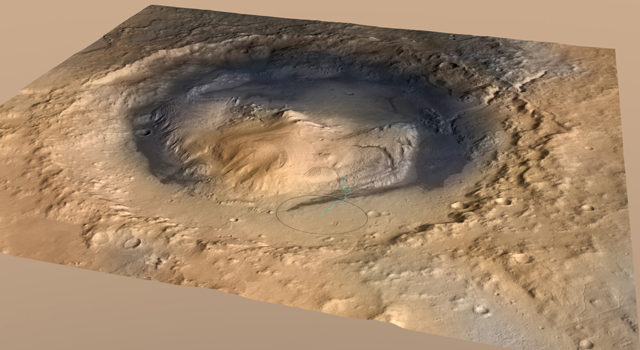 Scientists have ideas about how it took shape in the middle of ancient Gale Crater and hopes for what evidence it could yield about whether conditions on Mars have favored life. No mission to Mars dared approach it, though, until NASA's Mars Science Laboratory mission, which this August will attempt to place its one-ton rover, Curiosity, at the foot of the mountain. The moat of flatter ground between the mountain and the crater rim encircling it makes too small a touchdown target to have been considered safe without precision-landing innovations used by this mission. To focus discussions about how Curiosity will explore the mountain during a two-year prime mission after landing, the mission's international Project Science Group has decided to call it Mount Sharp. 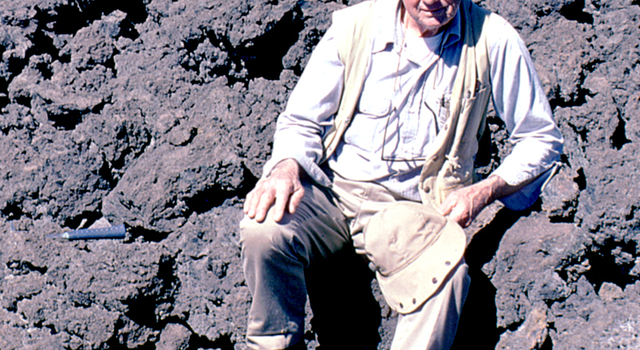 This informal naming pays tribute to geologist Robert P. Sharp (1911-2004), a founder of planetary science, influential teacher of many current leaders in the field, and team member for NASA's first few Mars missions. Sharp taught geology at the California Institute of Technology (Caltech), in Pasadena, from 1948 until past his retirement. Life magazine named him one of the 10 best college teachers in the nation. "Bob Sharp was one of the best field geologists this country has ever had," said Michael Malin, of Malin Space Science Systems, San Diego, principal investigator for two of Curiosity's 10 science instruments and a former student of Sharp's. "We don't really know the origins of Mount Sharp, but we have plans for how to go there and test our theories about it, and that's just how Bob would have wanted it," Malin said. Caltech Provost Edward Stolper, former chief scientist for the Mars Science Laboratory, said, "For much of his more than 50 years at Caltech, Bob Sharp was the central figure in its programs in the geological and planetary sciences. One of his major contributions was the building of a program in planetary sciences firmly rooted in the principles and approaches of the geological sciences. "Moreover, through his own work on the Jet Propulsion Laboratory's early missions to Mars and the work of others that he influenced, he also had a major influence on planetary science and exploration at JPL. Recognition of this remarkable scientist and leader by the naming of Mount Sharp is highly fitting, and I hope it will serve to perpetuate his legacy." The Mars Science Laboratory spacecraft was launched Nov. 26, 2011, bound for landing beside Mount Sharp inside Gale Crater on the evening of Aug. 5, PST (early Aug. 6, EST and Universal Time). The mission will use Curiosity to investigate whether the area has ever offered environmental conditions favorable for fostering microbial life, including chemical ingredients for life and energy for life. Mount Sharp rises about 3 miles (5 kilometers) above the landing target on the crater floor, higher than Mount Rainier above Seattle, though broader and closer. 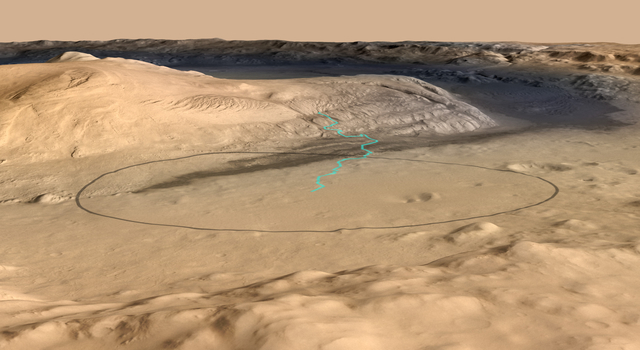 It is not simply a rebound peak from the asteroid impact that excavated Gale Crater. A rebound peak may be at its core, but the mountain displays hundreds of flat-lying geological layers that may be read as chapters in a more complex history billions of years old. Twice as tall as the sequence of colorful bands exposed in Arizona's Grand Canyon, the stack of layers in Mount Sharp results from changing environments in which layers are deposited, younger on top of older, eon after eon, and then partially eroded away. Several craters on Mars contain mounds or mesas that may have formed in ways similar to Mount Sharp, and many other ancient craters remain filled or buried by rock layers. Some examples, including Gale, hold a mound higher than the surrounding crater rim, indicating that the mounds are remnant masses inside once completely filled craters. This presents a puzzle about how environmental conditions on Mars evolved. "This family of craters that were filled or buried and then exhumed or partially exhumed raises the question of what changed," said Ken Edgett of Malin Space Sciences, principal investigator for one of Curiosity's instruments. "For a long time, sedimentary materials enter the crater and stay. Then, after they harden into rock, somehow the rock gets eroded away and transported out of the crater." Some lower layers of Mount Sharp might tell of a lake within Gale Crater long ago, or wind-delivered sediments subsequently soaked by groundwater. Orbiters have mapped water-telltale minerals in those layers. Liquid water is a starting point in describing conditions favorable for life, but just the beginning of what Curiosity can investigate. Higher layers may be deposits of wind-blown dust after a great drying-out on Mars. "Mount Sharp is the only place we can currently access on Mars where we can investigate this transition in one stratigraphic sequence," said Caltech's John Grotzinger, chief scientist for the Mars Science Laboratory. 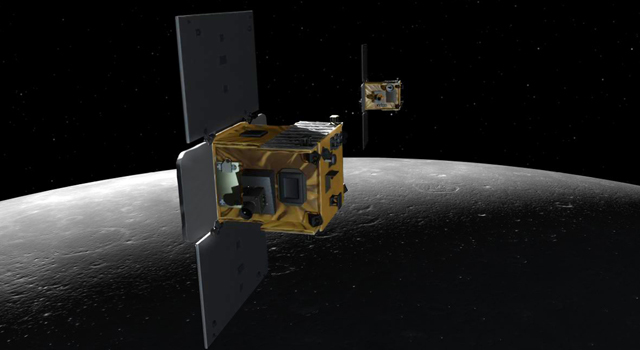 "The hope of this mission is to find evidence of a habitable environment; the promise is to get the story of an important environmental breakpoint in the deep history of the planet. This transition likely occurred billions of years ago -- maybe even predating the oldest well-preserved rocks on Earth." Possible explanations for how erosion shaped the mountain after layers were deposited include swirling winds carving away the edges, and perhaps later wet episodes leaving channels down the sides and fresher sediments on the crater floor. Clues about those episodes present Curiosity with other potentially habitable environments to investigate. The Mars Science Laboratory is managed by NASA's Jet Propulsion Laboratory in Pasadena, Calif., a division of Caltech. 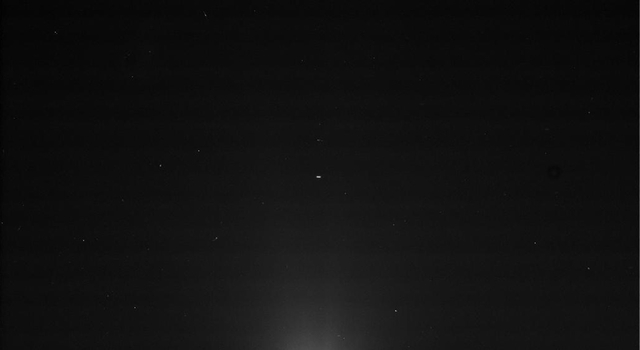 For more information, visit: http://www.nasa.gov/msl .